FALL SEASON ON SALE NOW! CLICK HERE for full lineup and tickets! 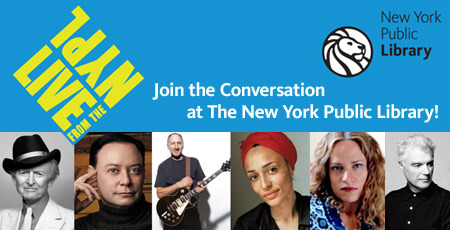 LIVE from the NYPL is made possible with generous support from Celeste Bartos, Mahnaz Ispahani Bartos and Adam Bartos, and the Margaret and Herman Sokol Public Education Endowment Fund. The Richard B. Salomon Distinguished Lecture is made possible by an endowment established by family and friends of the late Richard B. Salomon. The Robert B. Silvers Lecture is an annual series created by Max Palevsky in recognition of the work of Robert B. Silvers, editor of the New York Review of Books.